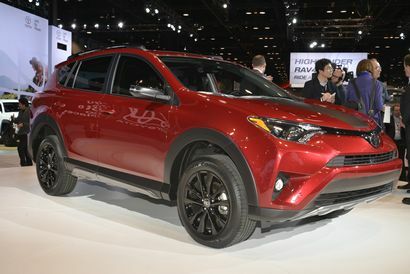 Dipping into the TRD parts bin, Toyota debuts additional trim levels for the RAV4 crossover, Tundra pickup, and Sequoia SUV at the 2017 Chicago Auto Show. 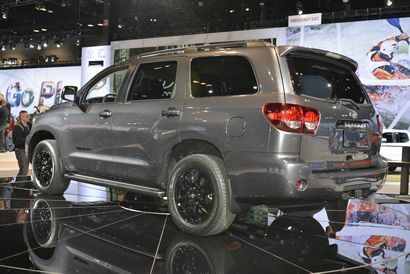 For Toyota, the Chicago Auto Show is synonymous with trucks. 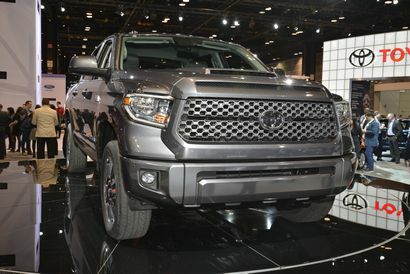 Looking back, the second-generation Tundra made its world debut in the Windy City in 2006, while a refreshed version was unveiled there in 2013. You can see the pattern. 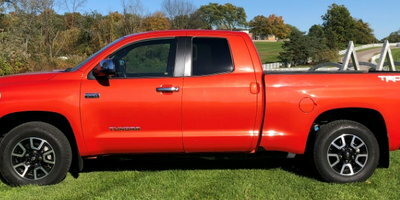 Many of us were hoping for an all-new Tundra. But alas, that isn't going to happen. 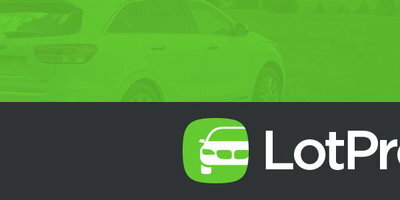 Instead, the 2018 model year will witness yet another mild refresh. 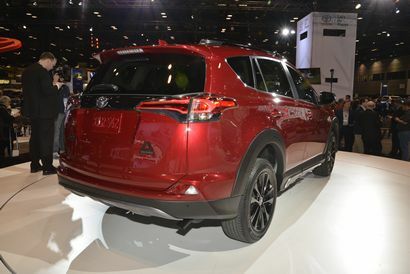 All is not lost, however, as Toyota also unveiled a new "Adventure" trim level for the 2018 RAV4 crossover. 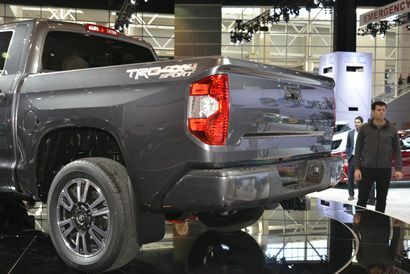 Also revealed was a new TRD Sport trim for the 2018 Tundra pickup and 2018 Sequoia SUV "ideal for adventuresome families in need of that unique combination of performance, utility, towing ability and comfort." An optional cold weather package adds heated/power cloth front seats, heated steering wheel, and wiper de-icer. 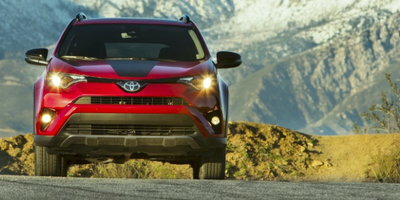 Interior upgrades include a TRD shift knob and TRD Sport floor mats. Like all 2017 Tundra trim levels, the TRD Sport will come with Toyota's Safety Sense suite of active safety features (pre-collision with pedestrian detection, lane departure warning, automatic high beams, and dynamic radar cruise control). Black leather captain chair seating will be offered as part of an optional premium package. 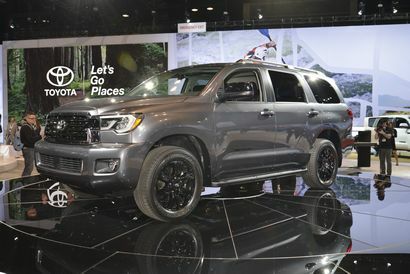 The 2018 Sequoia and Tundra TRD Sport models as well as the 2018 RAV4 Adventure will begin arriving in dealer showrooms in September. Pricing for all three will be released closer to their on-sale dates.